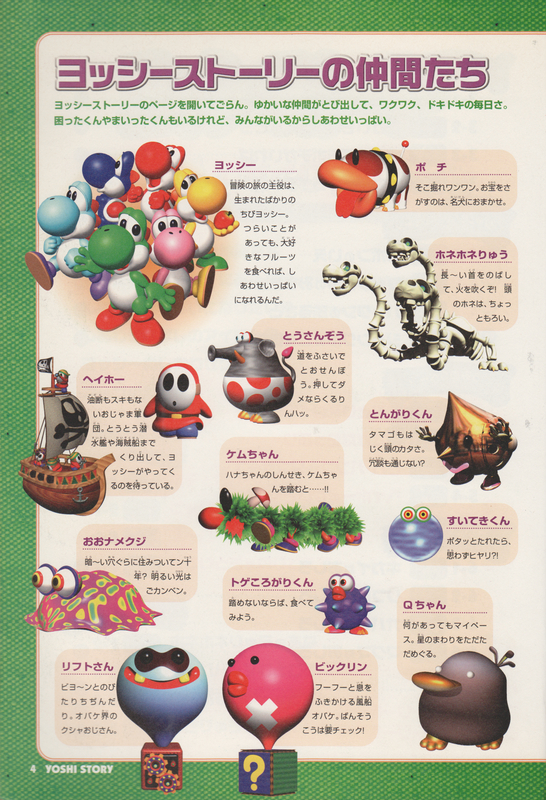 Artwork of a Do-Drop from Yoshi's Story. 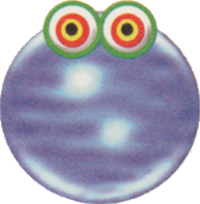 Do-Drops are a species of waterdrop-like creatures in Yoshi's Story. Their names are a pun on dewdrop, a small drop of dew. The Do-Drops first appear in Stage 2-3: Jelly Pipe. They are usually found in narrow passageways, where they come out of a rusty and broken Pipe. They have a presumably sour taste, since a Yoshi will receive damage if they eat one. Because they are a liquid-based entity, eating one will not produce an egg. Do-Drops are later found in Stage 5-3: Shy Guy Limbo, where they are dropped by clouds. They attack by bouncing off and colliding with any Yoshi in sight, dissolving themselves in the process. This page was last edited on April 15, 2019, at 16:36.